Mícheál Ó Foghlú's Weblog: WiFi access points in light fittings? WiFi access points in light fittings? How many cats does it take to screw in a light bulb? 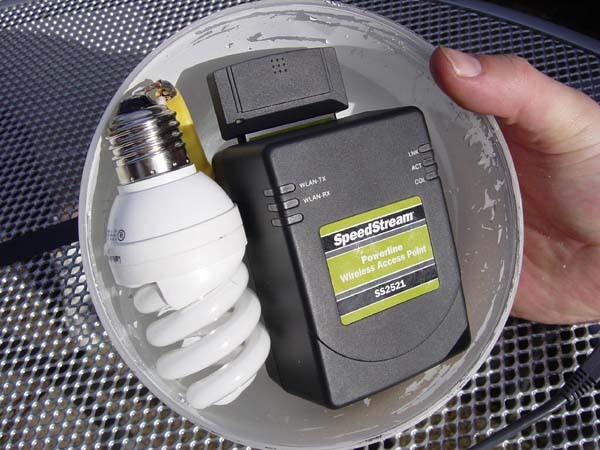 shows how it is possible to fit a WiFi access piint into a light fitting and use the powerline for data and power. Though this was posted last May, I only recently noted it.